This time I got a two for one deal in a flower theme. Again both eggs are in a nice folksy art style. 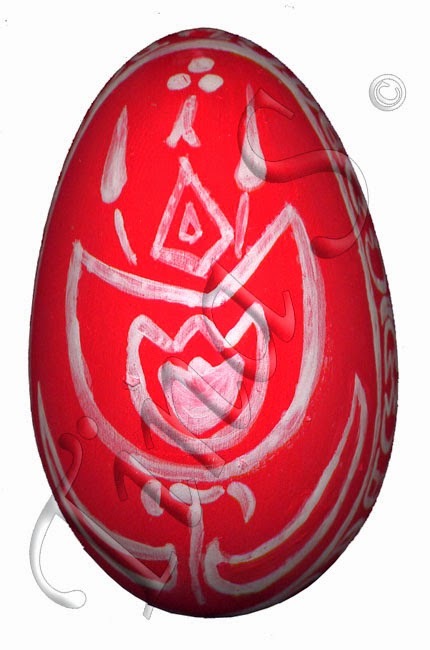 The first one is a bit of a tulip design on red background. It sort of looks like a Dutch egg design but an expert in this can probably do a better job then then I have but then I'm only looking for something that is close to that. 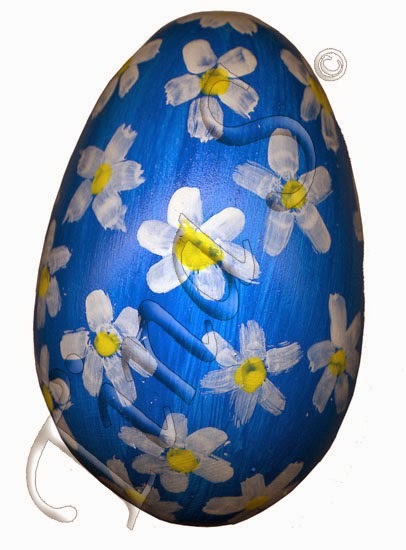 For the blue egg I decided to make it a camomile theme design since I just love the white camomile against the blue background of a box of a tea I once drank as a child. I don't think they make those any more unless they have a new design that I don't recognize. After I complete colouring all the eggs I'll probably clear coat for protection, clean up this dusty basket that sitting in the corner of a neglected living room and place the finished eggs in that. Going to look really egg-strodinary. 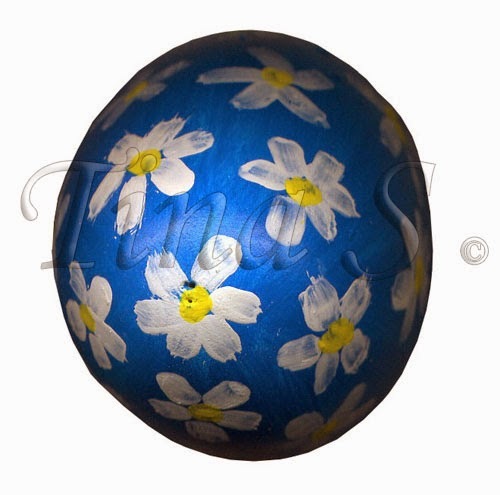 Latest egg designs can also be soon seen at my website as well. 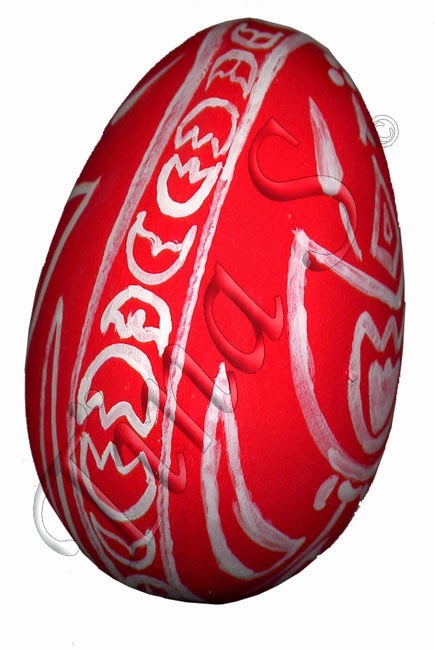 See first coloured egg here.